This is not your average photobooth! Our Polaroid Pin-Up is a fun twist on the traditional photobooth. Guests can stop by to have their photo taken or head into the crowd to take photos themselves. Our Polaroid Pin-Up is a cute twist on the typical photobooth. Guests can stop by to have their photo taken, or grab a camera and head into the crowd to take some photos on their own. 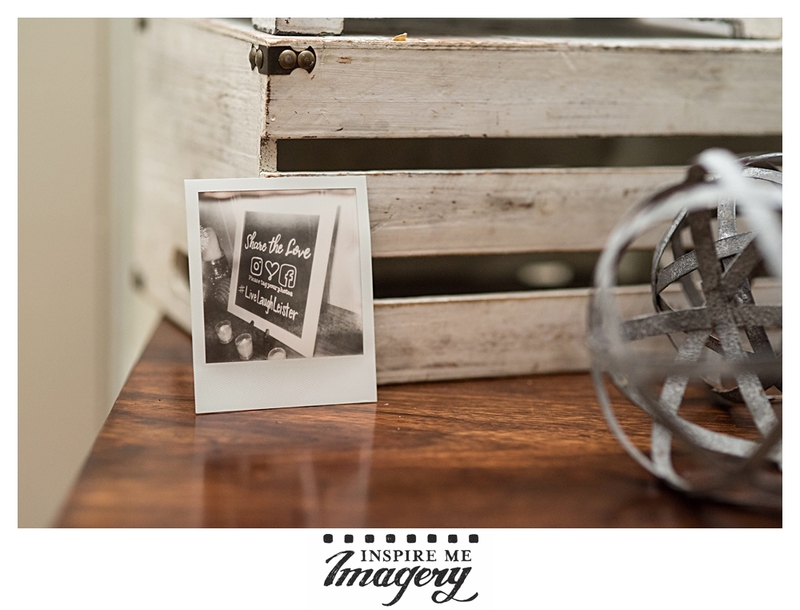 Guests can leave a note on their photo for the couple, or take it home as a memory of the evening. It is very easy to customize as well. We have had clients bring a backdrop and props for guests to use with the Polaroids, couples have had us set it up at the table card table for guests to replace their table card with a Polaroid, and we even had clients use the images in place of a guest book. It's open to any idea you might have.